With history of pirates invading its land, this is how one might have imagined as a child the typical tropical island. Rainforests, beaches, big boats with big sails, and monkeys…you might imagine yourself as Peter Pan or Wendy, and only two and a half hours from Rio. 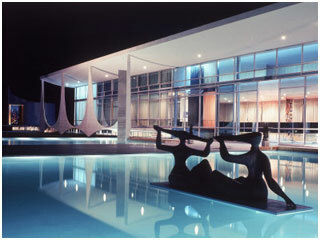 Often criticized for its poor social planning and super modernist architecture, the capital of Brasil is finally getting the respect it deserves, as people are finally seeing the thrill and daring of the city’s original vision. Visit the elegant arches of the foreign ministry, the twin towers of the Congress building, and the dramatic Catedral Metropolitana, where it will feel as if you’ve stepped into a Brave New World. 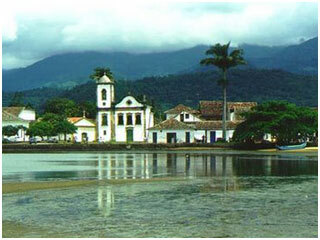 Paraty is one of the most beautiful preserved Colonial colonies in the Americas. Located a few hours from Rio on the Bay of Ilha Grande, one can do so many things here outside of just walking through the historic town. Explore the many tropical islands dotting the bay; walk the mountains, tropical forests, and waterfalls rising 1300 meters behind the town; visit one of the many nature preserves surrounding the town. 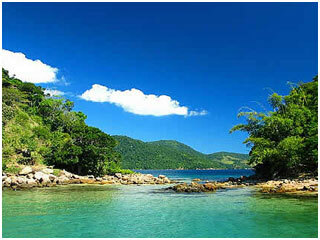 Paraty also includes an indigenous village, and with all this nature it’s hard to believe you are so close to the city.